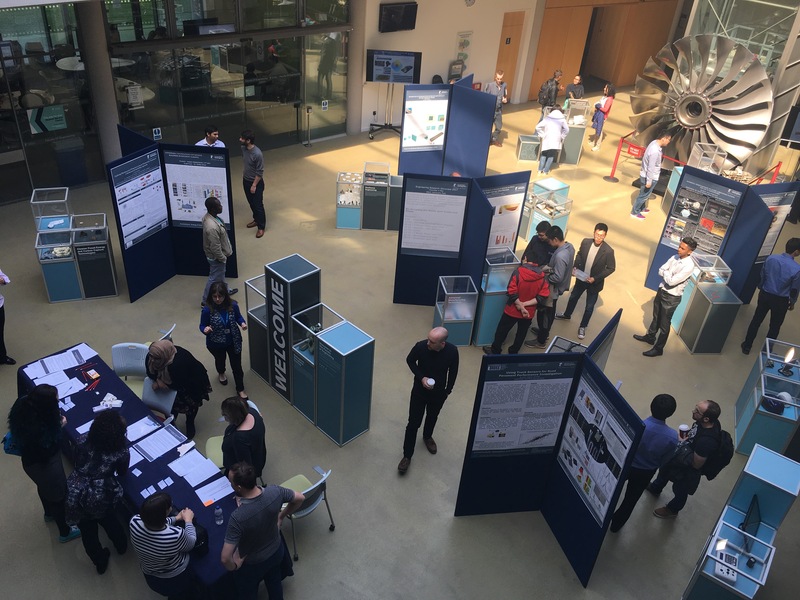 The University of Nottingham’s 2017 annual Engineering Research Showcase was held on Thursday 4 May in room A09 of the Engineering and Science Learning Centre (ESLC). A full day of events, starting from 10am, was attended by about 150 people, mostly students and staff at the Faculty of Engineering. It consisted of posters, workshops and a keynote lecture by Alan Simpson, Shadow Chancellor’s advisor on Sustainable Economics. 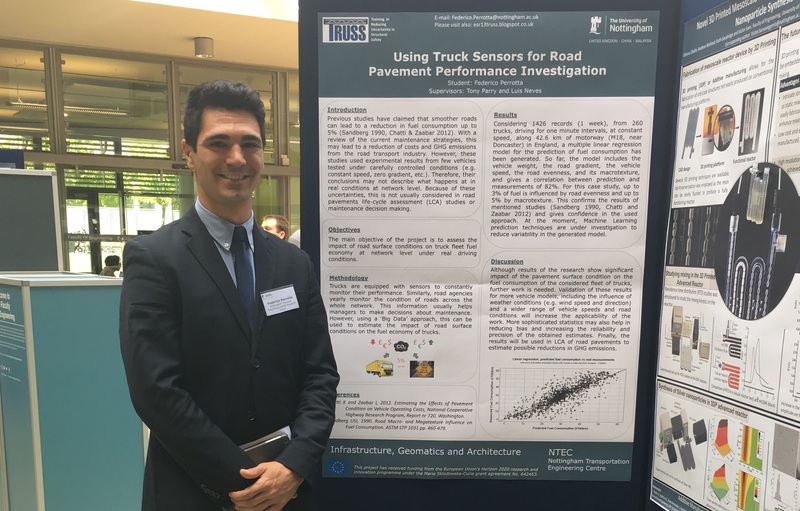 TRUSS ITN was represented by Federico Perrotta (ESR13), who was shortlisted with up to 40 postgraduate research students (MRes, MPhil, Doctoral students) and level 4 research-only staff, to present their posters. The showcase was open to all and Federico spent the day sharing his research with a wider audience, including members of the public. It was a great opportunity to gain confidence in communicating his research, in developing effective communication and presentation skills, and to network with other researchers and build his profile. 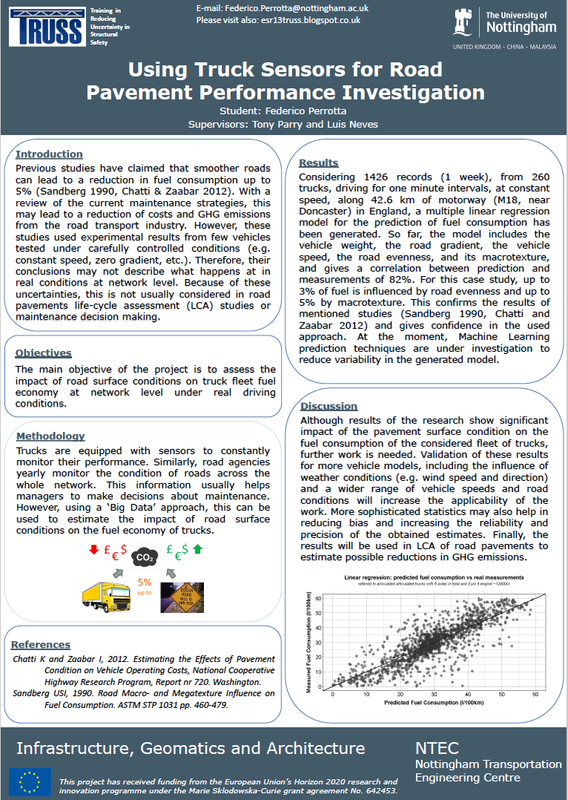 You can click below to enlarge and read Federico’s poster.